1. Even the pups are working their best blue steel pose. 2. Well hello there, Mrs. Claus. 4. It’s nice to choose a color theme for your family pawtraits. 5. Spot the embarrassed Dalmatians. 6. …and a partridge in a pear tree. 7. Say cheese – yep, even you in the middle! 8. You know they waited all year for that very moment. 9. They had matching blow-dries just before this photo was taken. 10. Mary, Joseph and baby Frenchie…that’s how the story goes, right? 12. Yerp, a real head-scratcher. 14. Not even sure what to say here, really. 16. 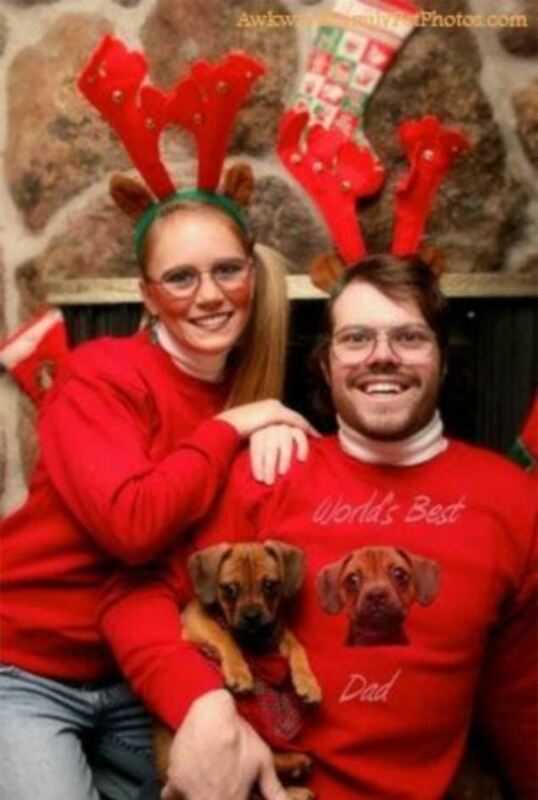 Behold, the male, dog-loving version of a cat lady. 19. It’s the ties that bind us. 20. ‘Tis the season to be really, really jolly. Some family photos are picture pawfect, while others need to be deleted from the hard drive immediately – but not until we’ve shared them here. 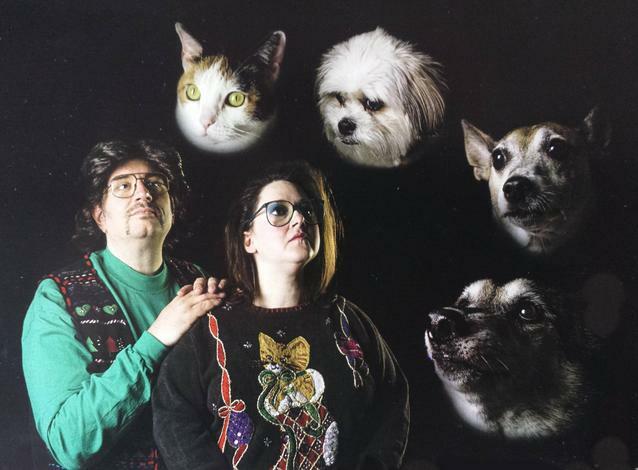 We can only hope that most of these are outtakes from holiday cards… otherwise, eesh. Sorry, pup! Cue 2009-ish viral meme nostalgia and enjoy the excruciating pawkwardness.